The clerks at the Ordnance Department during the Civil War often violated strict alphabetical order for the sake of better organization within ledger entries. Such is the case with New Jersey’s summary statement entries for the third quarter of 1863. The state’s lines appear AFTER New York’s and BEFORE New Hampshire’s. While troublesome for those with obsessive-compulsive tendencies, this does save a lot of white space on the entry sheets. 1st Battery / Battery A: At Culpeper, Virginia with six 10-pdr Parrotts. Captain William Hexamer returned to lead the battery at the close of the Gettysburg Campaign. The battery was with the Fourth Volunteer Brigade, Artillery Reserve through the end of October (with reorganizations would move to the Third Volunteer Brigade in the next quarter). In regard to the guns, the August 31 monthly report from the Army of the Potomac indicated the battery had only five Parrotts. And the return for which this summary line is derived was received in Washington in January 1865. So we must give or take one Parrott from Hexamer’s battery… at least. 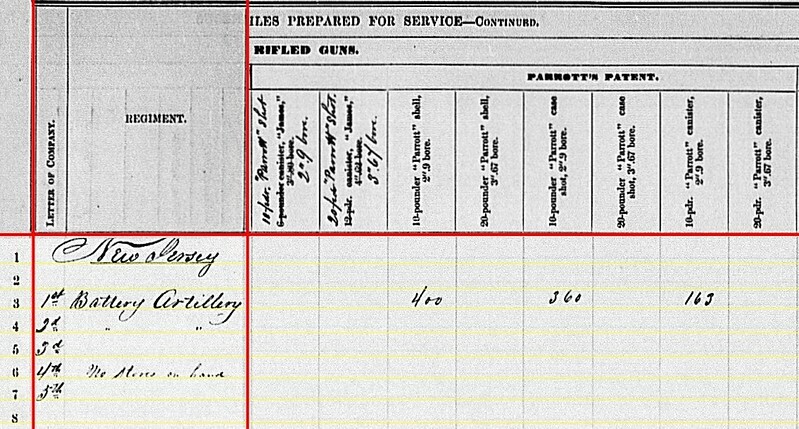 2nd Battery / Battery B: Reported at Brandy Station, Virginia with six 12-pdr Napoleons, reflecting a May 1864 receipt date. Captain A.Judson Clark commanded the battery, and it remained with Third Corps. At some point after Gettysburg the battery replaced the Parrotts used at Gettysburg with Napoleons. This change likely occurred in September, as the August 31 report indicates the battery still had Parrotts. By the first week of October, with the opening of the Bristoe Campaign, the battery had Napoleons. 3rd Battery / Battery C: No return. Authorized on June 30, this battery was fully mustered by September 11, 1863. Captain Christian Woerner commanded. Upon muster, the battery moved to the Artillery Camp of Instruction, Camp Barry, D.C.
4th Battery / Battery D: Reporting “no stores on hand” at Camp Barry, D.C. Also authorized in June 1863, this battery mustered on September 16, 1863. Captain George T. Woodbury commanded. And it was sent to the Artillery Camp of Instruction, as indicated on the return. 5th Battery / Battery E: No return. The third new battery from New Jersey. It was also authorized in late June. It’s muster date was September 8, but did not leave the state until September 26. Captain Zenas C. Warren commanded. Like the others, the battery’s first posting was the Artillery Camp of Instruction. 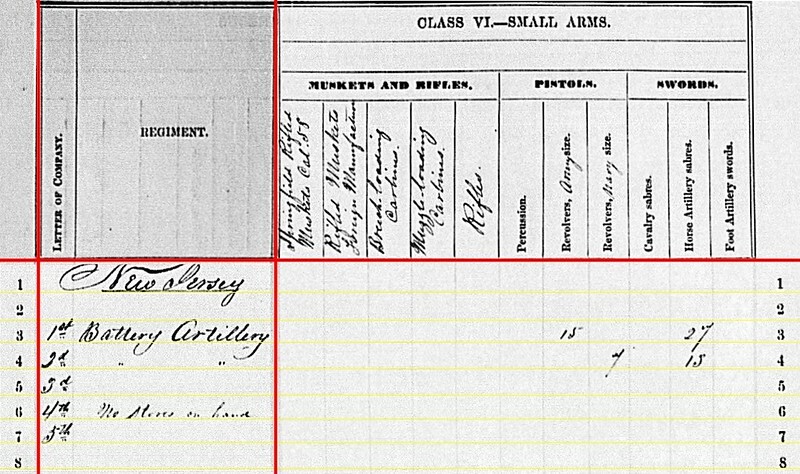 One other battery we should mention here, and that escaped the official summaries, is a battery of light artillery from the New Jersey Militia. Responding to appeals from Washington to meet the Confederate invasion of Pennsylvania in June 1863, the Governor of New Jersey called for additional volunteers, for a period of thirty days (starting on or about June 22). Ten companies of infantry and one battery of artillery from the state militia responded. The latter, Chapin’s Battery, led by Captain John R. Chapin, accompanied the infantry to Harrisburg. It is my understanding these New Jersey militiamen mustered into state service, then offered to support the Governor of Pennsylvania, and then assigned to help defend Harrisburg. As such, they never actually mustered into Federal service. The force returned to New Jersey at the end of their thirty days. 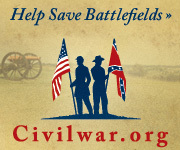 Just a footnote to the Gettysburg Campaign… even if that. But a battery mentioned here in the spirit of providing complete coverage. 2nd Battery / Battery B: 288 shot, 96 shell, 288 case, and 96 canister for 12-pdr Napoleons. 1st Battery / Battery A: 400 shell, 360 case, and 163 canister for 10-pdr Parrott. 1st Battery / Battery A: 173 Schenkl shell for 10-pdr Parrott. 1st Battery / Battery A: Fifteen army revolvers and twenty-seven horse artillery sabers. 2nd Battery / Battery B: Seven navy revolvers and thirteen horse artillery sabers. So we close out a short summary entry for New Jersey. Though the third quarter’s section for the state longer than in previous quarters, given the addition of three batteries. And perhaps that’s the big story here. Between June and September 1863, New Jersey organized and forwarded three new volunteer batteries and provided a short-term militia battery for an emergency. That’s not counting infantry (both volunteer and militia) that were added during the same period. And, for those counting heads, there were two New Jersey infantry regiments mustered out (belatedly, but mustered out) during the Gettysburg Campaign. An exhibit from New Jersey for the “fought the war with one arm” argument.